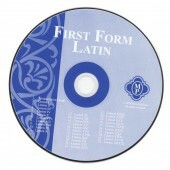 First Form Latin Pronunciation CD. First Form's grammar-first approach focuses on grammar forms and vocabulary because those are the grammar stage skills suitable for the grammar stage student. However, the First Form Series is for students of all ages because all beginners, regardless of age, are in the grammar stage of learning. Syntax (how to use grammar) and translation are logic, and rhetoric stage skills, respectively, and quickly overwhelm the student unless they are introduced at a slow, gentle pace and taught for mastery. Grades 6 and up. 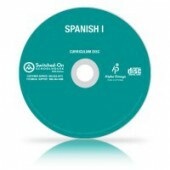 Also available: Student Workbook, Teacher Guide, Flashcards, Student Text, and DVDs. First Form Latin Quizzes and Tests. For use with First Form Latin Series. 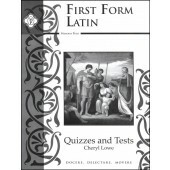 Includes Quizzes and Tests for each lesson found in First Form Latin Student Text. Recommended for Middle School and up. Soft cover. 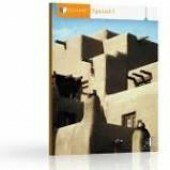 The Book of Roots: Advanced Vocabulary Building from Latin Roots. Often a comprehensive listing of derivatives for Latina Christiana I (alphabetized by both English Derivative and Latin), along with Latin definitions, English derivative definitions, and etymology. There is also a section of weekly exercises that draws out interest and provides reinforcement. This is definitely the book to use if your student loves words - or if you want him to! This book is also an ideal standardized test prep book, training students to uncover the meanings of words by deciphering parts. The Book of Roots is a Latin roots course, vocabulary building course, Latin dictionary, and etymology reference book all in one! Highly recommended for all Latin students. Grades 3 and up.